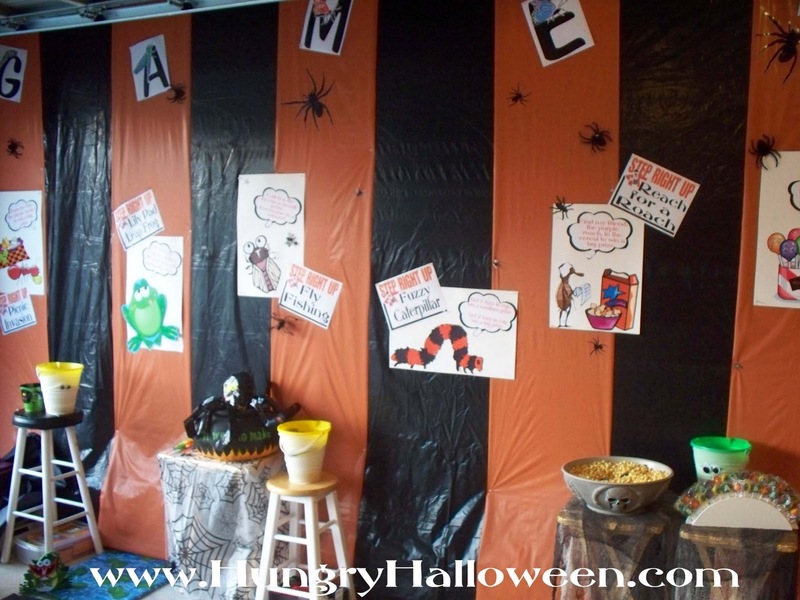 HUNGRY HALLOWEEN, THE COOKBOOK AND BLOG, OFFERS A COLLECTION OF HALLOWEEN RECIPES, HALLOWEEN DECORATIONS, HALLOWEEN GAMES,AND HALLOWEEN PARTY IDEAS. Click here to see some of the fun games we created for our carnival. Awesome ideas! Your kids are very lucky! All rights reserved, which include the right to reproduce this work or portions thereof in any form whatsoever except as provided by the U.S. copyright law.